For close to 90 years, The Model Bakery has been part of the Napa Valley culinary scene, providing discerning and hungry residents and valley visitors the best breads, pastries and coffee at the original location on Main Street in St. Helena. In January 2008, The Model Bakery opened its second location at Oxbow Public Market, incorporating state-of-the-art equipment and ovens to create their world-class breads and baked goods. A family business, Karen Mitchell and her daughter, Sarah Mitchell Hansen, are dedicated to authentic, artisan baking traditions. Today’s Model Bakery specializes in artisan breads made with organic stone ground flours and the highest quality ingredients as well as a complete range of pastry products. Both locations offer Stumptown Coffee, delicious daily breakfast and lunch specials for dining in or take out, and other favorites such as their English muffin (as featured on Food Network and Oprah’s Favorite Things 2016), chocolate “rad” cookies, cinnamon morning buns, gargantuan luncheon pizzas, a variety of daily salads and distinctive sandwich combinations, and much more. The Oxbow location offers a “late bake” – an afternoon bake of signature breads for consumer purchase and to supply the region’s best restaurants. 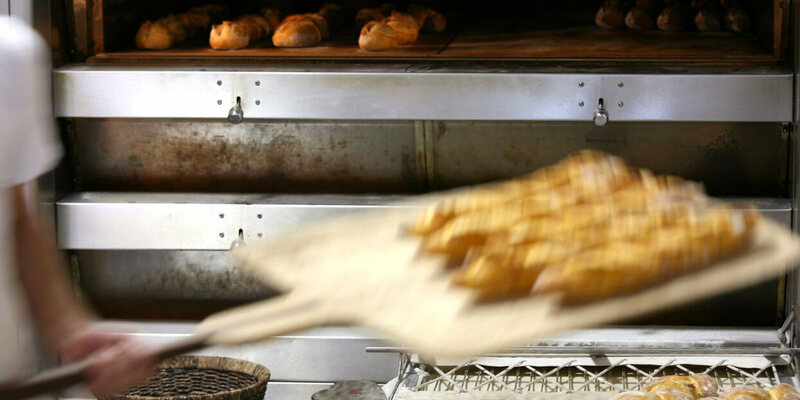 Come see why The Model Bakery is well known as the Napa Valley’s hometown bakery.